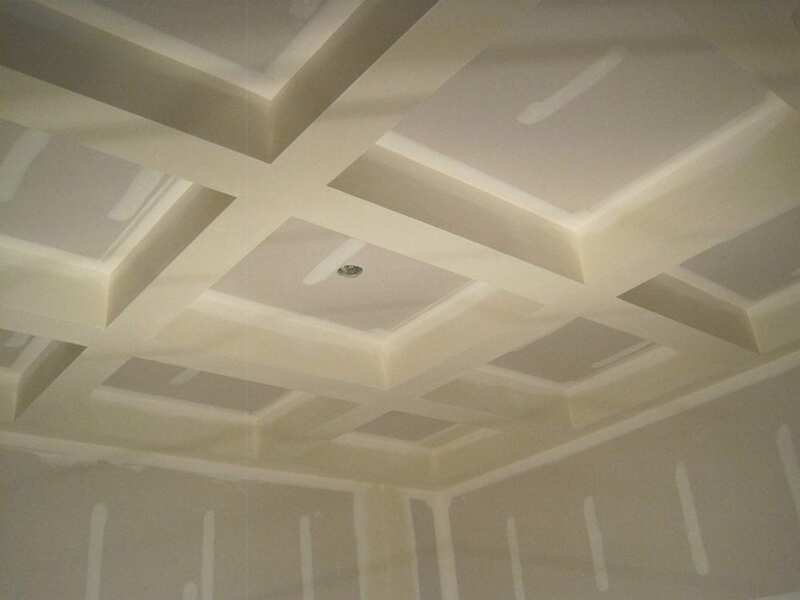 This was project required boarding, taping and a painted ceiling finish. 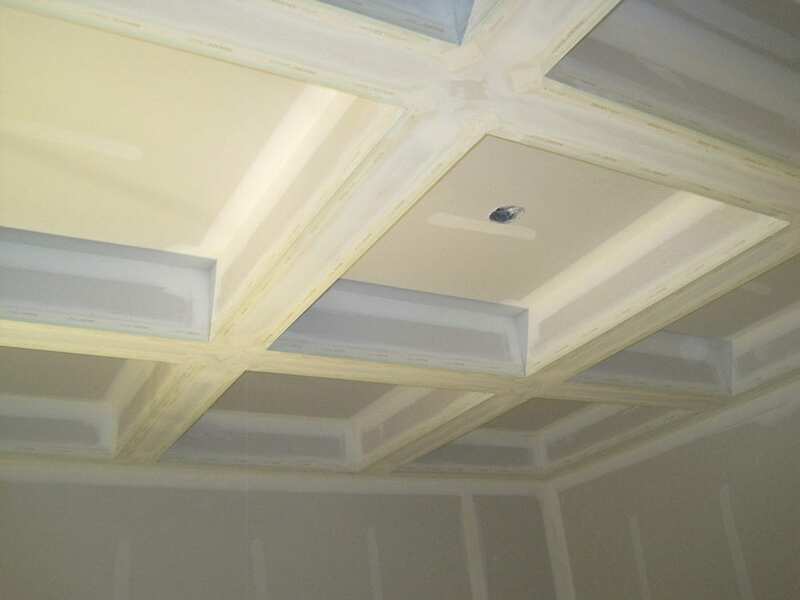 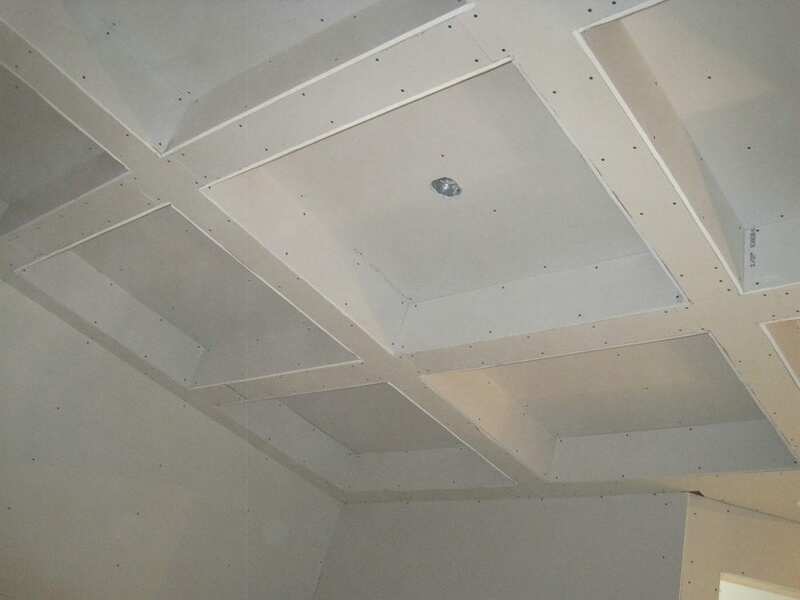 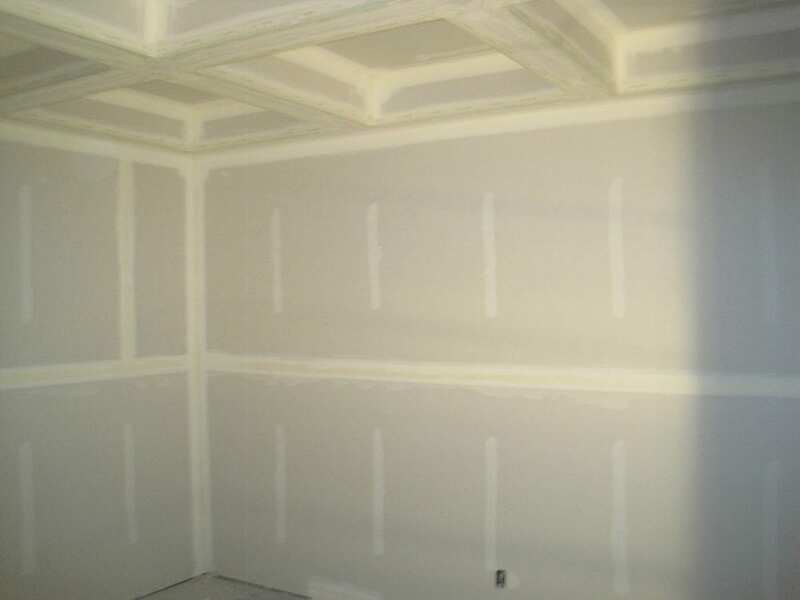 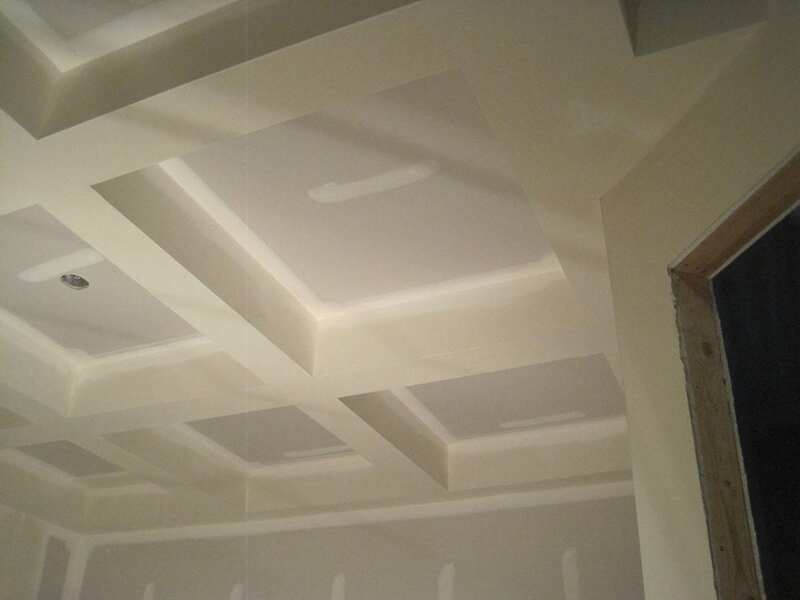 The customer wanted coffered ceilings (a series of sunken panels – either square, rectangular or octagonal – arranged in a grid design on a ceiling as shown in several of the project images) as shown in their media room. 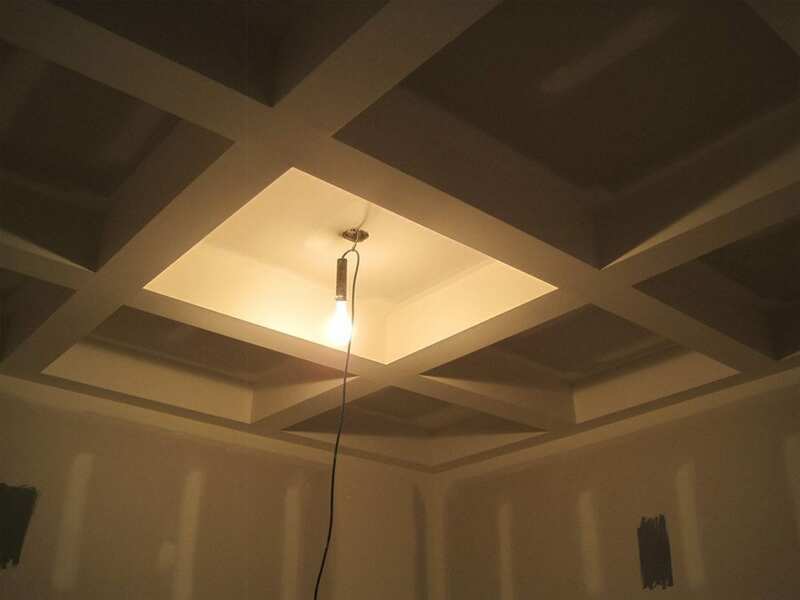 The images show the transformation of this space. 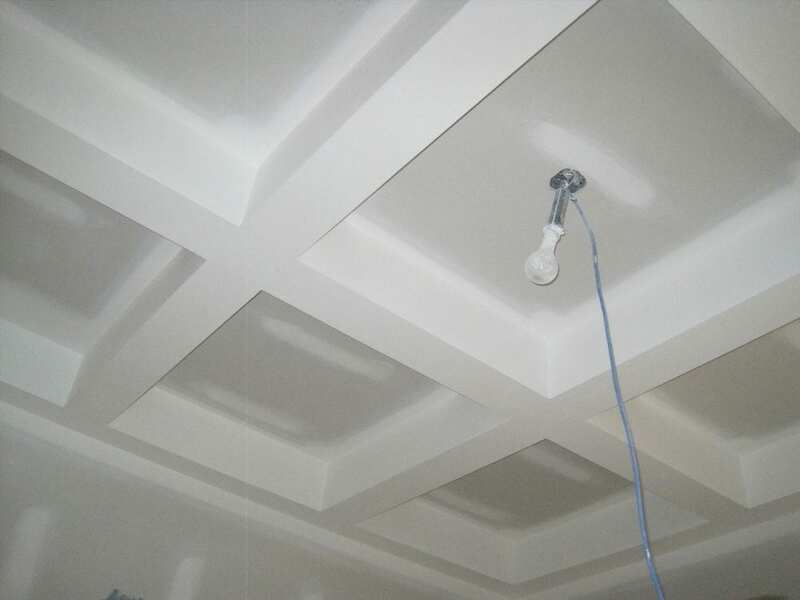 If you have a similar project in mind don’t hesitate to contact us.